If you are situated in Brisbane, Tri-Tech is your number one choice for expert air conditioning service, installation, and replacement! Tri-Tech supplies, installs, services, and repairs all of Australia’s most trusted brands. We cover ALL Brisbane suburbs, some of which are listed below. Sick of your poorly installed air conditioning system? Not only are you wasting money and energy, but you’re sick of being uncomfortable indoors! Choose a certified air conditioning specialist in Ascot who will ensure high-quality installation of your new heating and cooling systems. No job is too big or too small for Tri-Tech’s qualified tech team! Can’t explain why you’re feeling hot air instead of cold air from your air con unit? Unsure how to troubleshoot your system? Tri-Tech’s mobile tech team is always on the go, helping you solve your air conditioning woes. We provide efficient and quick on-site repairs wherever you are. Tri-Tech provides accurate quotes, diagnoses your problems, and creates on-site solutions for your air conditioning problems. When was the last time you had your air con checked by a certified air conditioning expert? Regular check-ups of your unit improves its efficiency and functionality throughout its years of service. Have months or years passed by from your last inspection or clean? Let Tri-Tech take care of your air conditioning in Bulimba and increase the life expectancy of your system. Quiet, low-key and affordable, it’s no wonder Carseldine is such a popular choice for families to put down roots and empty-nesters looking for somewhere quiet to enjoy their time. Of course, staying comfortable in Carseldine is a bit of a struggle without air conditioning! 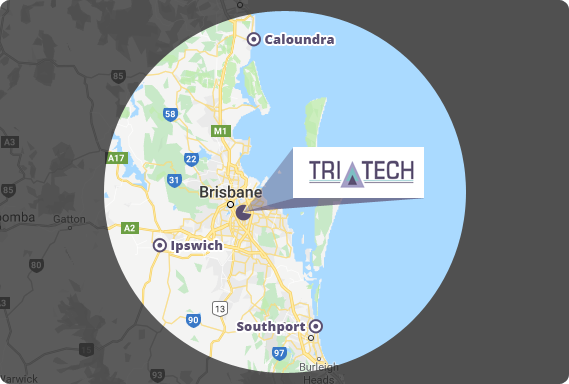 Tri-Tech’s mobile tech team travels all over Brisbane – and that includes northern suburbs like Carseldine. Give us a ring to day for air conditioning solutions that perfectly match your requirements and budget. Still undecided what air conditioning system will best suit your commercial space? Tri-Tech is your air conditioning expert that provides perfect air conditioning solutions for your property with the right coverage, power, and price. Tri-Tech helps you plan, strategise, install and maintain good air quality of your air conditioning in Cannon Hill. Tri-Tech’s mobile tech team perform air conditioning services all over Brisbane and south-east Queensland. Naturally, that includes suburbs such as Carindale too! Whether you need air conditioning installation, repairs or replacement, we’re the team to call. Our team provide a wide range of services including air conditioning installations, repairs and upgrades. Together, we’ll turn your Carindale home into a place where you can enjoy year-round comfort. Who wouldn’t want to stay indoors all day with fresh, clean, and cool air? Enjoy your favourite indoor space with expert air conditioning installation in Coorparoo from Tri-Tech. We install high-quality air conditioning systems and are official warranty agents for some of Australia’s most popular air conditioning brands! Rely on the Tri-Tech team for all system repairs and replacement. In addition to families, Eight Mile Plains is also home to Brisbane Technology Park, one of Brisbane’s largest and most high-tech commercial parks. High-tech businesses need high-tech commercial space to go with them. Tri-Tech is at the bleeding edge of domestic and commercial air conditioning, offering some of the latest and greatest, including small duct technology and total climate control solutions. As one of Brisbane’s newer suburbs, most Forest Lake homes and businesses already enjoy the benefits of modern air conditioning. Of course, just because your home or commercial property is still relatively young doesn’t mean that you can just push it out of your mind. Regular repairs and service are crucial to ensuring your system has a long lifespan ahead of it… an upgrade might even be on the cards! Whatever your air conditioning needs, you can trust Tri-Tech to get it done. Talk to our mobile tech team today about how we can keep your air conditioning competitive. This beautiful bayside suburb boats the beauty of the bay and great cafes. All types of people, from families with young kids to retirees love calling Manly home. If you’re in need of improved air conditioning in Manly that will not only deliver superior cooling, but will help save money and energy, too, call Tri-Tech today! Wished your home’s air conditioning performed better? If you want to make your home as comfortable as possible year-round, give air conditioning the attention that it deserves. Air conditioning installation in Morningside has never been this easy with Tri-Tech. We work with the best and most recommended air conditioning brands including Mitsubishi Electric, Daikin, and Fujitsu. Tired of endless failures and breakdowns of your air conditioning system in Murarrie? Your 10- or 15-year old unit may need an upgrade, as general wear-and-tear has left it ineffective. Sick of enduring a poor performance? Don’t wait any longer, book an on-site inspection with Tri-tech today and say goodbye to an old and worn-out system with expert air conditioning replacement it Murarrie. North Lakes is full professionals, singles, and families, and is home to a vast number of small businesses. If your home or workplace requires an improved air conditioning system in North Lakes, contact Tri-Tech’s team of experts today! We offer new installation, repairs and replacement of your AC system. Schools, shopping, plentiful greenery and parks – it’s no wonder that so many are pinning Tingalpa as a suburb to keep your eye on! Found your dream home in Tingalpa? Renovating? Looking to build? With 30 years of experience in all things air conditioning and a portfolio of Australia’s favourite air conditioning brands, it’s no wonder we’re Brisbane’s #1 choice for air conditioning installation!